When it comes to changing the rules of fine watchmaking, no one does it better than Ulysse Nardin – the nautical maestro. -> THE STAR watchmaker from the Kering Group started the year on an animated note with their #FreakMeOut theme resonating across their collections. We're already reaching the end of the year and it seems like they just took the “freak” theme to a whole new level. 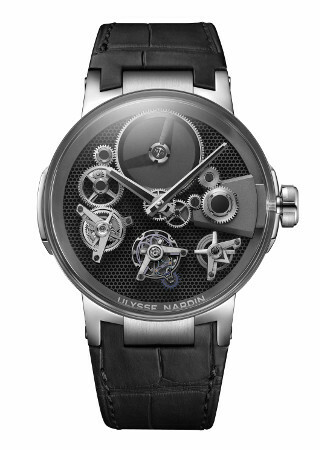 Here is introducing their new, gravity-defying Executive Tourbillon Free Wheel timepiece. sleek black honeycomb grid for the dial. 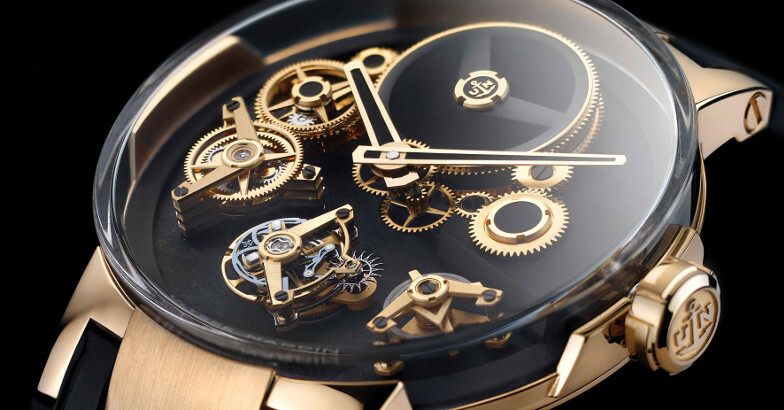 The most notable parts of the timepiece are its “free floating” components. -> BOXED IN A sapphire glass dome, the Executive Tourbillon Free Wheel features its 'flying' skeletonised elements, namely the tourbillon bridges, 7-day power reserve indicator, hours and minutes indicators, and gear trains; on the dial. It comes equipped with the UN — 176 movement — an in-house production complete with then Ulysse Anchor Escapement. It is presented on a carbon leather matte alligator strap.